Pizza Hut keeps setting the bar higher and higher, Kudos launches to safely introduce kids to social networks, Snap has WeChat dreams, and look what ya’ll made T-Swift do! The Pizza Parka is going to revolutionize winter fashion this year. Also, Snap sees a lot of potential in the social business model of Chinese social network WeChat. Make way for Taylor Swift’s new mobile app, and with Kudos, kids can get a safer, more educational experience as they learn how to use social networks. This and so much more, so sit back, relax, pour a tall glass, and drift off onto Froopy Land as we head into the weekend with some Weekly Wins. God bless the pizza delivery person. With their (sometimes) timely deliveries straight to your door, they provide the round-the-clock nourishment we all need sometimes. And one of the best parts about receiving a freshly delivered pizza is opening up the box to a face-full of wonderfully hot pizza steam. Kevin knows what I’m talking about. 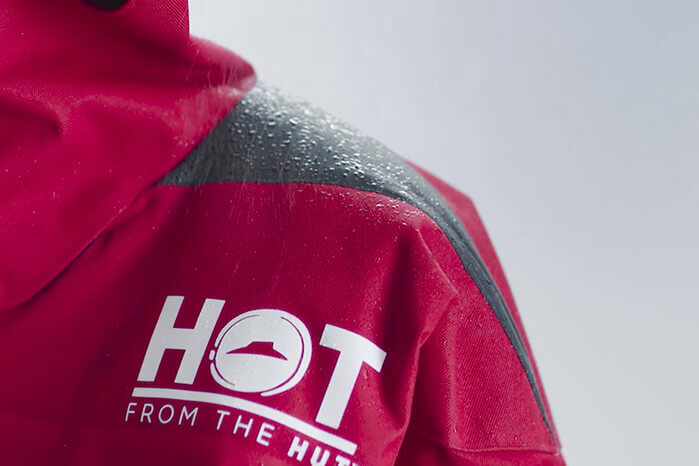 The experience of fresh pizza is like no other and I’m assuming some genius at Pizza Hut thought, “hey, why can’t I be this fresh and steamy?” Thus spawning the Pizza Hut Pizza Parka. Similar to the time they dropped a pair of Pizza Hut Connected sneakers, the Pizza Hut Pizza Parka isn’t actually for sale. But the thought behind the winter coat makes perfect sense. Lined with the same insulation that’s used in the pizza delivery pouches, the parka would have kept your body warm and your crust crispy throughout the winter. Kudos is a mobile app designed to introduce 8-13 year old smartphone users about being good digital digital citizens. At it’s heart, it functions a lot like Instagram where users can upload and share photos, react to other peoples’ content, and comment – with a couple of specially designed twists. For one, the entire app is monitored 24/7 by a human staff ensuring that all the content being shared is kid-friendly. Next, all of the reaction functions are designed to encourage users to be friendly with each other. Kudos originated in Oslo as a photo sharing app called Kuddle, but Kudos has since taken off and is ready to make a serious splash here in North America. The hope is to teach the next generation of digital citizens to be good to each other and treat the technology as a way to be positive. And with so much negativity in the world, it’s a breath of fresh air to know some people are still in this digital game for the goodness of it all. We’re currently living through a significant social media war in North America. As Snap continues to innovate in the social sharing and experience territory, Facebook/Instagram continue to grow. But there’s one channel that both are chasing, WeChat. WeChat dominates the Chinese market, but not just because of it’s ability to connect users with each other, they’ve managed to seamlessly integrate a bevy of services within the social experience. For example, you can be chatting with friends on the app while paying a bill at the same time. This seamless connectivity to digital partners and services is being adapted by Snap with the use of Context Cards. 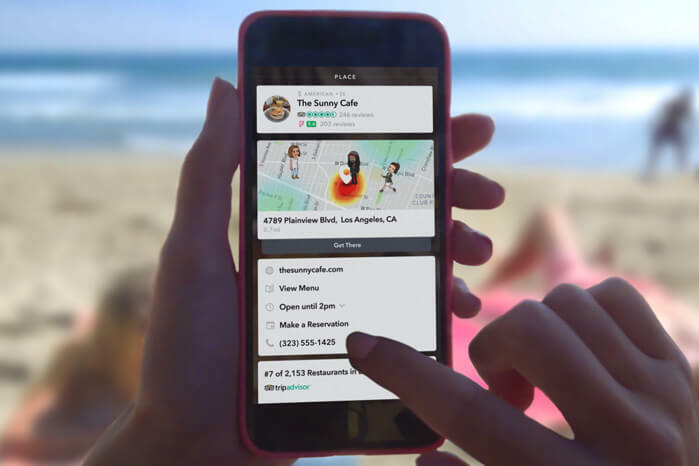 According to this piece on Mashable, “Snapchat users will now be able to discover a place and then see hours of operation, book a reservation, and hail a ride to that location—all while staying in Snapchat.” This is a territory Facebook has been looking to crack for a while with it’s FB Messenger integration, but it looks like Snap may have beat them to the punch. Once you’ve dominated the music charts for over half a decade, what’s next? Well, how about you re-invent yourself and give the world your very own mobile app? 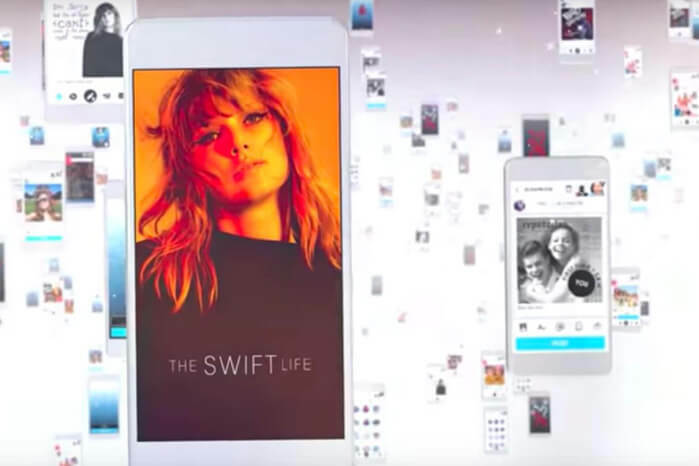 Later this year get ready to download and interact with The Swift Life, a social app designed to let Taylor Swift fans interact with each other around the subject of their favourite music star. The app is currently in beta-release with a full release expected before the end of the year. This is a busy time for Team T-Swift as she’s recently dropped a few singles off her latest album ready to hit the airwaves next month. The Swift Life was originally supposed to be a mobile game, but after a few delays and pivots, the timing for this new kind of app seems perfect. Yet another example of how the Taylor-Sphere is dominating digital marketing. You’ve got an iTunes account with a few of your favourite flicks downloaded. Then you bought a few digital titles from Amazon video once. Then you needed to watch Good Will Hunting that one time and saw it on Google Play. And then there was that one time you experimented with Vudu… Basically, your digital movie files are everywhere and it’s difficult to keep track. Enter Movies Anywhere, a new app that consolidates all your digital movie downloads from Amazon Video, iTunes, Google Play and Vudu into a single place. Movies Anywhere is an Android, iOS and Roku app that brings together all your movie accounts into a single location. Now you can download a movie from iTunes, Google Play. Vudu or Amazon and it’ll show up on your Movies Anywhere account. And even though the app launched this week, once you sign up and connect your accounts, it’ll retroactively add your old movies. Finally, the chaos of movie file organization is looking up.